Technically do you have the ability to compete or enjoy your sport but when it matters there is something that lets you down? Do you ride at competitions like you ought to be back on the lead rein? Maybe you just park at the event and look round and the amazing new shinny lorry’s and say to yourself ‘They are better than me’ ‘I am not good enough’ before you have even see the horse and rider. If you say that enough to yourself then your unconscious mind will start to believe it. Perhaps you look at the floor and curl up in to foetal position in an effort to hide and protect yourself from the on lookers. When you hear the bell to start do you tense in your shoulders or arms and without meaning to stop the horse going forwards? Do you get great results at home but not at competitions? Do you start riding like a robot in a very mechanical way, just riding the movements and lose all sense of feel and harmony with yourself and the horse? You are not alone. Perhaps there is a certain type of fence that you always have a stop or a knock down at? Is the horse really to blame for this? Or perhaps the trainer is or the wrong pair of boots, the weather or there was a dinosaur lurking in the hedge? So what is the real reason? Have you ever wondered what that something is that you are lacking? How many hours a week do you spend physically training yourself and your horse? Hours and hours? I can take a guess that you neglect one of the most important muscles. Which muscle is that I hear you ask … the answer is your brain. ? Your brain is a muscle too, it also needs to be trained just like all your other muscles. 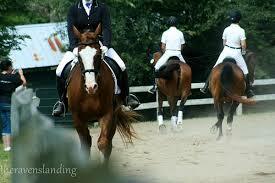 Most riders at some point experience nervousness at competitions that is normal. In all disciplines, dressage, showjumping, eventing, racing. However you can learn to use those nerves to your advantage. When you watch top competition riders, and sports men and women they refer to being in the zone. With regular coaching you can also learn to use your unconscious mind when you compete and be in your own zone. Many top sportsmen and women hate the thought of losing. Nobody likes to lose, and be thought of as a failure. Sometimes we are so focused on that fear of being a failure that we become one! When we lose then often we can beat ourselves up, and mentally punish ourselves. Then that fear of losing becomes even stronger. Charlotte Dujardin (reference British Dressage Magazine) says that she treats every test like the centre line at home, and focuses on herself and the horse and does not look at the crowds. She says its important to relax and enjoy yourself. By working together we identify your personal triggers, and your riding and competition goal. It’s your goal nobody else’s, so it will be unique to you. That is why the coaching is also unique and bespoke. With Sports Coaching we teach you to change and manage the little nagging voices and demons with that negative self-talk by enhancing your self-belief. We use visualization and affirmations to help you believe in you. To be a confident in competitions. Dealing with how you respond to failure or committing errors, setting goals and maintaining a positive attitude. 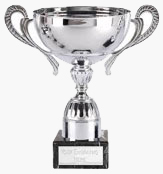 We also teach you the new habit of winning or performing at the very best you can and what that feels like. We coach you to use those nerves to your advantage, to be a confinement rider and competitor. We use a number of NLP techniques including hypnosis for horse riders, break through sessions, and time line therapy to name but a few. What if you were be able to ride in the zone at competitions and be in control of your emotions and nerves? If you turned up to competitions with a little voice going whhhhooooo I have arrived look out everyone. 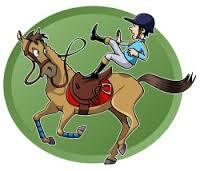 You warmed up aware of other horses and riders but not worrying about what they were doing or looking like? You went down the centre line in your dressage test saying in your mind ‘ Hey judge yes you judge you are so lucky you get to watch me! !’ When the start bell goes in the showjumping or cross country your state of mind and your body stays relaxed rather than tensing up. You could jump that fence. You believed in yourself and your horse. You were able to quieten those negative self-talk voices. You felt confident and believed in your ability. You were aware that there were people around you maybe even watching you, possibly talking about your performance… but it didn’t matter. The thoughts in your mind were clear and ordered. You were a confident rider and competitor in harmony with your horse, getting the best results for the horse rider combination you can. Most importantly enjoy your sport and rode the best you could ride. click here for full information, including event details, schedule and entry form.